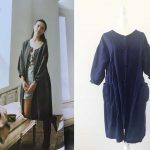 Home DIY Fashion	Love dresses with pockets? 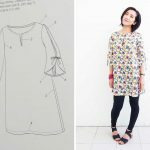 This sewing pattern is for you. 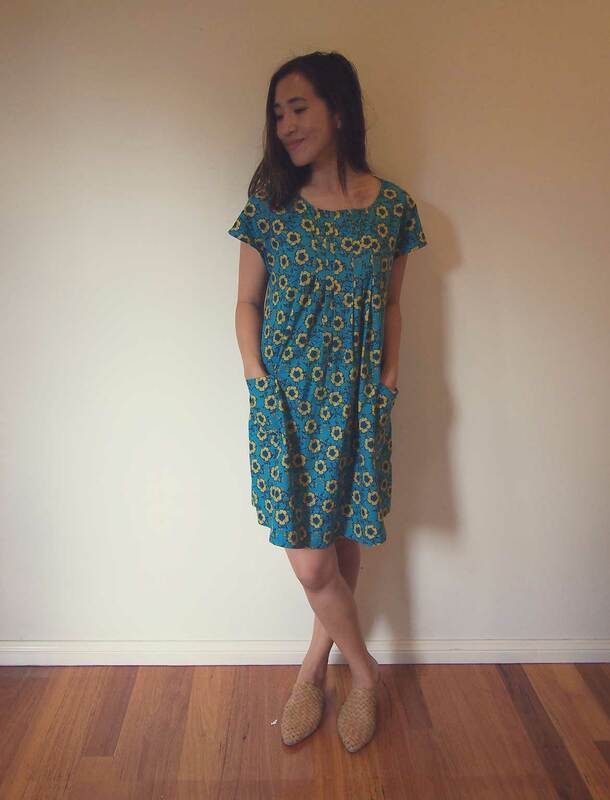 Love dresses with pockets? This sewing pattern is for you. There are not enough dresses with pockets. I just want the roomy comfort of a dress AND the convenience of stashing keys and coins in my jeans pockets. 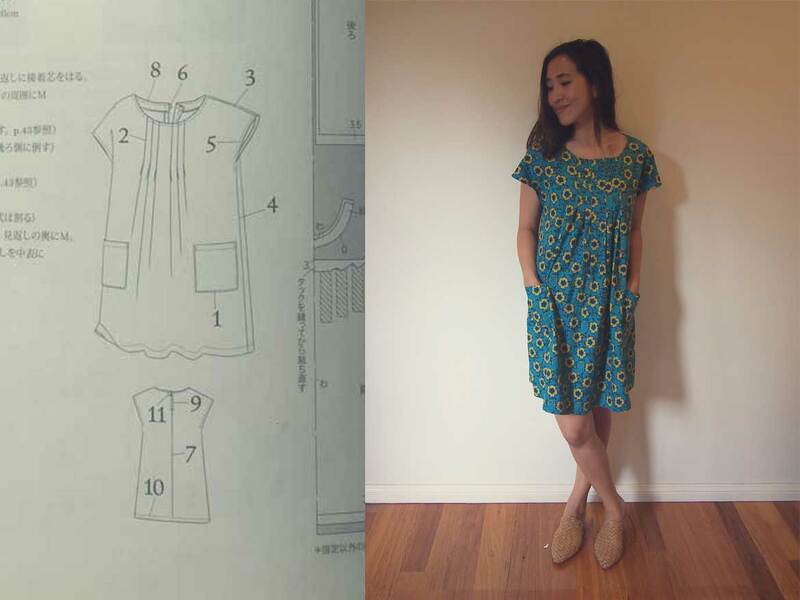 This Japanese sewing pattern was the perfect solution. 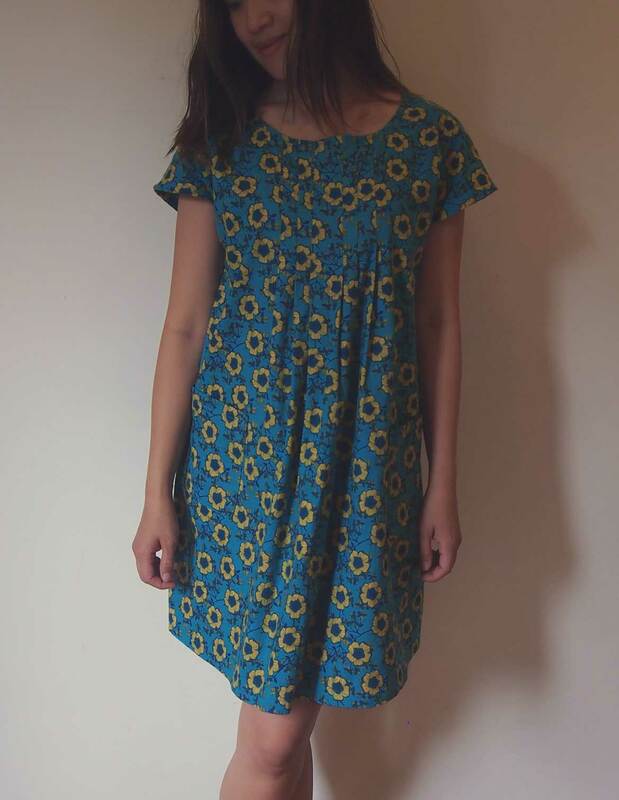 It’s a cute, casual dress with two front pockets! 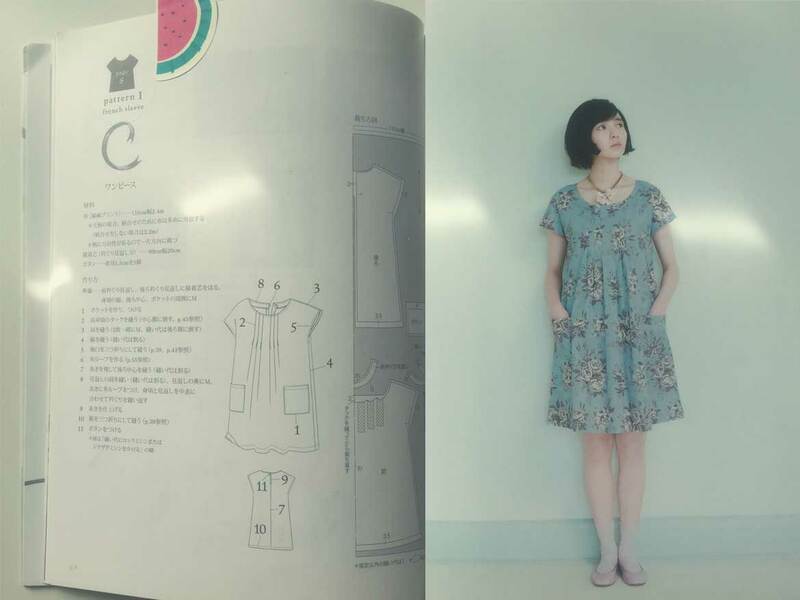 I made “Pattern I” from the Japanese sewing pattern book, Sweet Dress Book. It’s a really simple design, with just enough personality added by the neckline detail. Sweet Dress Book includes 22 other sewing patterns, and is available on Amazon. Despite the title, it actually includes patterns for tops and a playsuit as well. It’s been a long time since I had the opportunity to make something for me to wear. I thoroughly enjoyed the process of sewing this dress. It’s been a challenging year with two toddlers taking over my life, so I REALLY needed this special “me time”. We travelled interstate to my parents’ house, and they graciously looked after the girls so I could do this. My mum, who is also avid sewist called it my “therapy”—she’s so right! 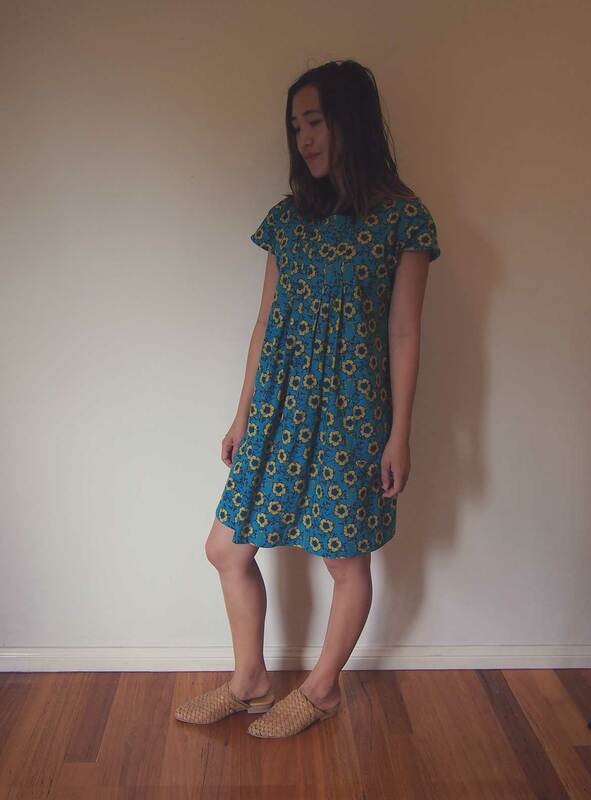 You can use any mid-weight woven fabric, like cotton, linen, or rayon to make this dress. Just make sure it’s not see-through! I used a printed cotton my mum gave me a few years ago—de-stashing always feels good. 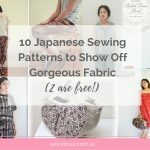 Woven fabrics like these are very easy to work with, so I highly recommend this pattern for people new to sewing. 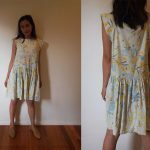 I think I will make a plain, linen version of this dress next. I’m usually dressed head to toe in neutrals, so this blue and yellow print is very adventurous for me. 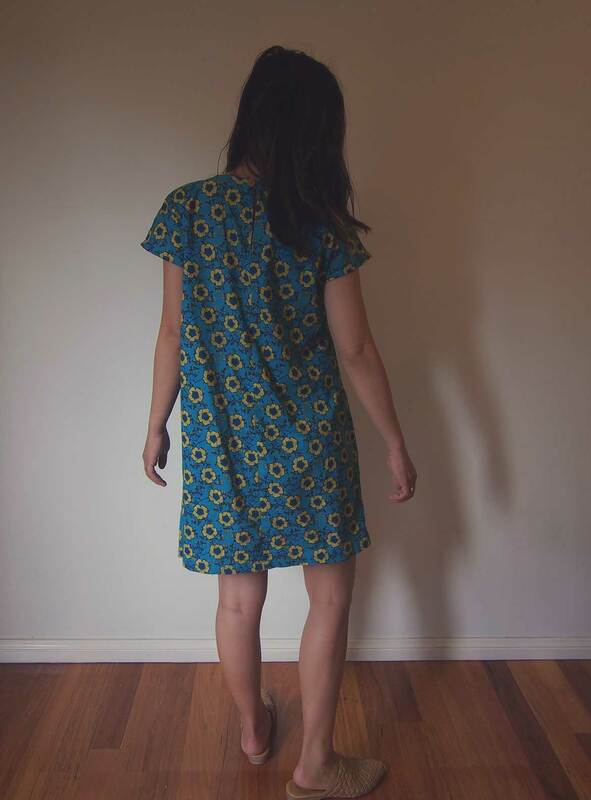 Oh, and I added a yellow fabric covered button at the back. Do you ever press the seams the wrong way? That happens to me quite a lot more than I would like to admit. With this dress, the pleats in the neckline were going well, until I realised one pleat was pressed the wrong way. Sigh. I know no one can see this, as it’s on the inside of the garment, but it does bother me a little bit. Not enough to re-do the stitching though. I guess I’m just grateful to have had the opportunity to sew at all. What’s your attitude towards little mistakes INSIDE the garment?